We purchased these lovely prints directly from the artist Mr Ray Russell who was retiring and going to live in Thailand. 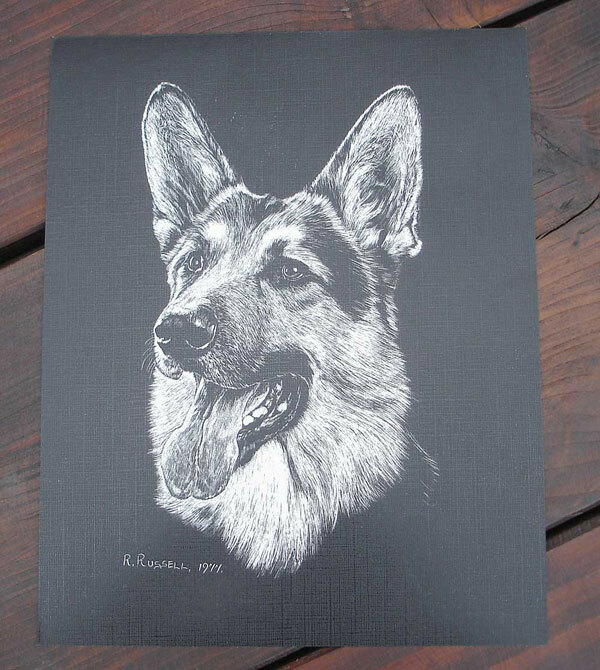 He traded at Crufts for 20 years 1977 - 1996 and his work has been sold worldwide. The print measures 10 inches x 8 inches and they are printed on lovely textured paper. They have a heatsealed / matted surface which affords full protection and gives the option whether to use glass when framing. They are a stiff card rather than a paper type and are supplied in poly bags.